As I have been growing older, I have been thinking more and more about families. Different kinds of families in different societies. As a child, I lived in a lot of places: Including my current university, I went to ten different educational institutions in four different countries, and this meant that I met a lot of different people and, by extension, a lot of different families. The basic family unit seems so simple: mother, father, son, and daughter. And yet, it is so complex. The way a family unit behaves is dependent on where they live, where they are from, and their unique belief systems. Families are like people: they often appear simple–normal, even–and yet, underneath, they are a shifting, evolving, and constantly changing entity. The thing about families is that they are all unique. In my opinion, there are no true happy families, each one has their own battles to fight and therefore there are only unhappy families and each one is unique. Each family’s unhappiness is unique and each family is worth knowing, understanding, and loving. Leo Tolstoy opens his novel, Anna Karenina, with the line “Happy families are all alike; every unhappy family is unhappy in its own way. The sentiment behind this line, for me, is that since pure happiness is impossible, every family is unique in its happinesses and unhappinesses. It brings to mind the idea that although we often assume what constitutes a “family,” we are wrong; any collection of people can be considered a family: a unit of individuals bound together by blood, circumstance, and love. This idea should extend beyond the original family unit and it should also extend to all types of families, no matter their occupation. Through extrapolation, I often feel that we forget that the Kardashian-Jenner family is, in fact, a family. Like many other people, when I first heard about them, and their reality TV show, I was appalled; appalled by their actions, their vanity, and their scandalous & seemingly fickle lives. I found the whole idea behind them repulsive. Then, one day, a few years ago, my mother, my sister, and I were all bored and looking for a new television show to watch. We finally stumbled upon a few random episodes of Keeping Up With The Kardashians. I was amazed. It was indeed a show about wealth, fame, scandal, and how to make money. At the end of the day, however, the show portrayed one concrete idea: family. To these people, at the end of every day, every episode, and every overly-dramatic moment, they return to the idea of family as a cohesive and supportive unit. They fight, they scream, they yell abuses, and they even occasionally backstab each other. But still, at the end of each episode, they come back to the role of the supportive and understanding family. As I watched more episodes, I was shocked by how much I respected and understood them. Family issues are always so difficult for people to deal with and this family helped me learn more about myself and my own family. They often manage to put into words that which I struggle to deal with, such as the idea that our parents are human, that we can make mistakes and expect our families to continue loving and supporting us, and that, ultimately, families can get through anything together. My interest, and respect, for the infamous family has only grown as they deal with the transition of patriarch Bruce Jenner into a female. Some sectors have gotten angry at Jenner’s public transition, claiming that it will negatively affect the larger transgender community. While I do not know a lot about the transgender community, I find that the Keeping Up with the Kardashians episode, the Diane Sawyer interview, and the general information they’ve provided has helped me, personally, understand more about the transgender community. Growing up in a conservative country like Pakistan, the idea of transgender was completely strange to me; I had no experience with it apart from what I saw on television or in the news. Watching the episodes and seeing the family deal with this kind of intrinsic change was eye opening. Suddenly, the idea of someone being transgender was not something far away and foreign. Watching the sisters and family matriarch deal with the change reminded me that any of us could be one of them; it forced me to realize that in their position, I would most likely behave the same way: I would ask the same questions and have the same, stumbling, ignorant, and hurt responses. Every time I had previously seen transgender individuals in the media they were strong, intelligent, fabulous, and beautiful figures like Laverne Cox or Candis Cayne. The problem was that they were already transgender in my eyes; I had not been able to see the process–the grieving, the hope, or the happiness–of starting a new life and that made them almost too far away to be real for me. Watching Bruce Jenner talk to her daughters and wife about this change, watching them react, cry, get angry, and, ultimately, accept gives me a new appreciation and immense respect for the members of the transgender community and their families. Tolstoy’s words are evocative of struggles that all families go through. We are all unique in our unhappiness. Embracing that unhappiness and creating a home within it is the goal. We criticize, mock, dissect, and complain about this family’s actions with our friends, in public, and in the media. But I think we forget the fact that they are a family, even if they are performing publicity stunts or actions for attention–they are still people and while the world was dissecting their every move they were going through a huge change in their lives and learning to deal with the fact that their father was going to come out as transgender. There are people within the transgender community who believe that Bruce Jenner’s method of revealing the truth is about “money grubbing,” but I think that the division of the revelation into segments and the ability for us to see the process is imperative. Being able to see people begin to realize, understand, and accept this kind of change is powerful because we are then inclined to think about how we ought to react to this situation. We are forced to view what is happening as something which could affect any family. Their questions and issues help people to better understand how an individual and their family deal with transition and the journey from shock & confusion to acceptance & support. Zoey Tur, in an article for The Washington Post, writes that “Trans people need an icon. But Bruce Jenner is the worst possible choice” and that, owing to her utilization of the media to come out, the transgender experience “will be swept up with the ultimate symbol of abnormality and dysfunction: the Kardashian family.” In my experience, and hearkening back to Tolstoy’s words, all families are dysfunctional and unique, it’s just a fact of life. No two families are alike and it’s impossible to standardize them because what may work for one family would never work for another. My own family is rather dysfunctional and I am proud of that fact; it makes them special and uniquely my family. Jenner’s coming out in the manner her family chose is not, I believe, about the media, money, or ratings, but it is about staying true to her family’s unique role in society. At the same time, although I commend the Kardashian-Jenner family for their actions, I do not think that we can ever assume that any one individual can act as a solitary, all-knowing spokesperson for any community. Jenner should instead be viewed as a spokesperson, just one out of many, who is showing the world a different perspective and experience of being transgender, but is not defining the experience of being transgender. 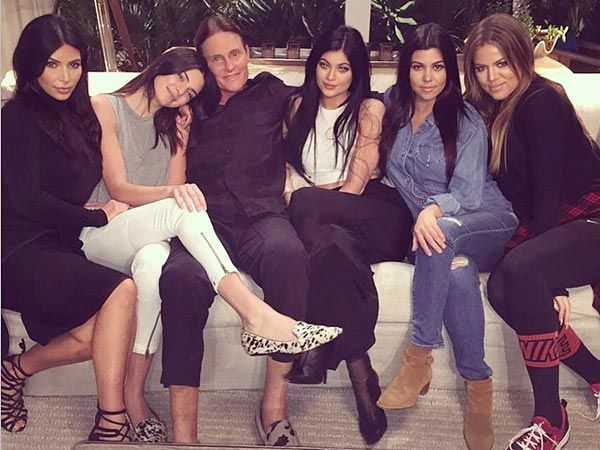 Bruce Jenner closes her special E! episodes with the fact that everything is about increasing and promoting tolerance in the world and that, I think, is what we should take away from this family rather than the fame, fortune, scandal, or perceived dysfunction.